A convicted Russian real estate tycoon said he bribed a State Duma deputy with a lavish penthouse, confirming an accusation made by opposition leader Alexei Navalny’s anti-corruption team. Sergei Polonsky, who was convicted but not jailed last year for an alleged $42 million embezzlement scheme that targeted investors in an upscale residential project in Moscow, claimed during hearings to have bribed State Duma Deputy Leonid Slutsky with a penthouse. Navalny’s Anti-Corruption Foundation said the 400 million ruble ($6.38 million) three-story penthouse was registered in the name of Slutsky’s wife. 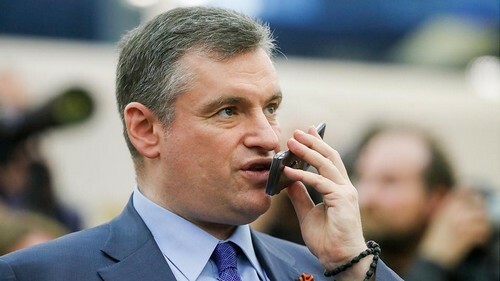 “When our project was on the verge of being seized, Mr. Slutsky and his relative said ‘you understand we won’t help you finish the Kutuzovskaya Milya [development project] just like that…pay us with a 1,000-square-meter penthouse’,” Polonsky told the Govorit Moskva radio station. “It feels like people aren’t hearing what they’re told at all,” Polonsky was quoted as saying.